Looking for an English style ale with lots of flavour but without all the alcohol? Try this English Mild. It keeps the flavour but lowers the alcohol to 3.2% (nearly half of our Extra Special Bitter), making it a beer that can be enjoyed all day. Lightly hopped, refreshing, and flavourful. 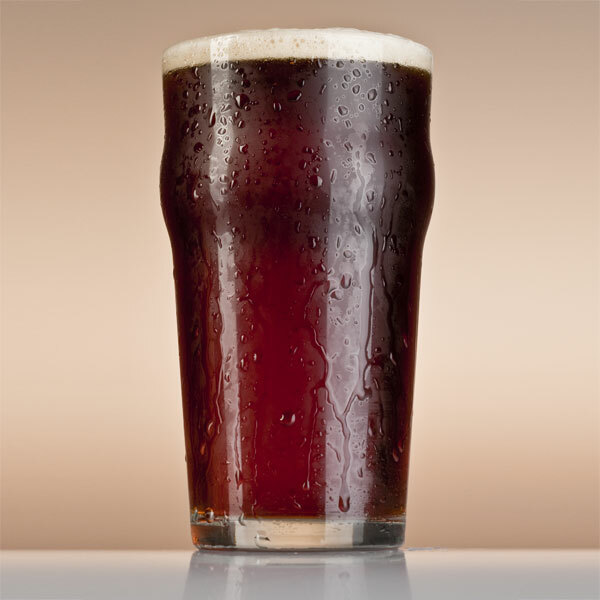 Until the 1960s Mild was the most popular beer style in England but shortly after experienced a sharp decline and was in danger of completely disappearing. In recent years the explosion of microbreweries has led to a modest renaissance and an increasing number of Milds (sometimes labelled "Dark") are now being brewed across the world. To help with this revival, the Campaign for Real Ale has designated May as 'Mild Month'. In the United States, a group of beer bloggers organised the first yearly American Mild Month which started in May 2015 with forty-five participating breweries across the country, including some that have used our Electric Brewery setup. We use our favourite English yeast here which helps bring out fruity/malty flavours. It's available to homebrewers as Wyeast 1968 London ESB Ale liquid yeast or White Labs WLP002 English Ale liquid yeast. This yeast does not attenuate very well which is perfect for our needs as it helps keep the beer from being overly dry or thin. A reasonably high amount of speciality malts (nearly 15%) are used that add unfermentables which also give the beer extra body. 1.25 qt/lb mash thickness. Single infusion mash at 154F for 90 mins. Mashout to 168F. Great recipe, and it's came at the right time as I am about to brew a mild. I just have one small comment to make - here in the UK we would generally have a 1:1 Cl to SO4 ratio in the brewing water when brewing a mild. A matter of taste I guess as our milds would hardly have any bitterness accentuation. Thanks for the comment chastuck! I did go back and forth with the Cl:S04 ratio but eventually went with 1:2 as in the recipe to make the hops just a bit more 'bright' or 'sharp' if that's the word. The difference is very subtle, especially given that EKG hops are not anywhere near as aggressive as American ones. A matter of taste you like said! Link Posted: Tue Mar 29, 2016 3:04 am Post subject: Dry Hop? Recipe calls for dry hopping 7 days?? Link Posted: Tue Mar 29, 2016 4:09 am Post subject: Re: Dry Hop? A cut & paste typo - now removed! Thanks for catching that. I have brewed two 10 gallon batches of this mild and it is excellent! If you are after a easy drinking English flavour I would look no further. My two cents on water profiles. I have done one batch with a balanced profile and one batch with a hoppy 1:2 ratio of Cl:SO4. I used Thames Valley yeast in both, my personal favourite English yeast strain. This is a yeast which emphasizes the malt character in a beer. When I did the balanced water profile the nuttiness of the Maris Otter was very forward and I almost thought it needed to be more bitter. I am drinking the 1:2 ratio of Cl:SO4 and now the Maris Otter is not as apparent. Note both beers were served on beer gas, low carbonation. My recommendation would be to tend towards a "slightly hoppy" water profile of about 3:4 Ca:SO4 to enjoy that Maris Otter flavour without going over the top with it. Anyway Kal thanks for the recipe!